Ever since it was launched in 2014, the Maruti Suzuki Ciaz has been one of the best-selling models in its segment. In fact, till date over 2.2 lakh units of the Ciaz have been sold till date and currently it has a market share of 34 per cent in the compact sedan segment which has some tough competition. The Maruti Suzuki Ciaz had a classic look to it but it was getting long in the tooth. It was about time for Maruti Suzuki to update the Ciaz and so it did! The company launched the the Ciaz Facelift in India at compelling prices (more on that later). 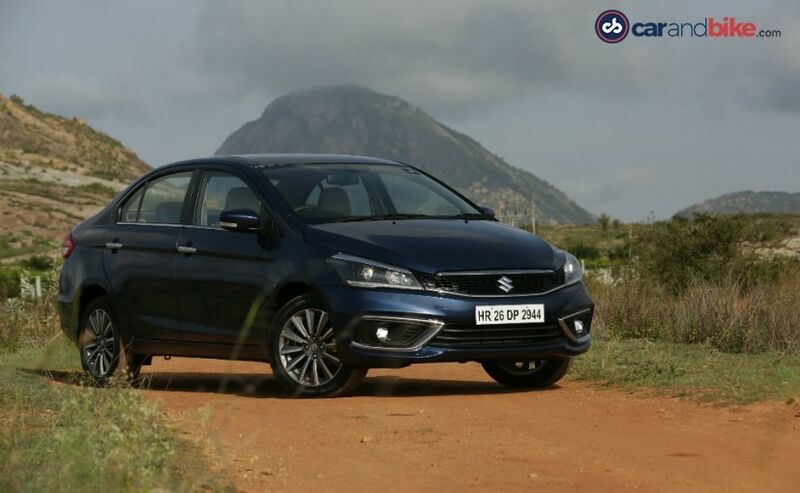 This is the first significant update that the Maruti Suzuki Ciaz has received since it was launched four years ago. 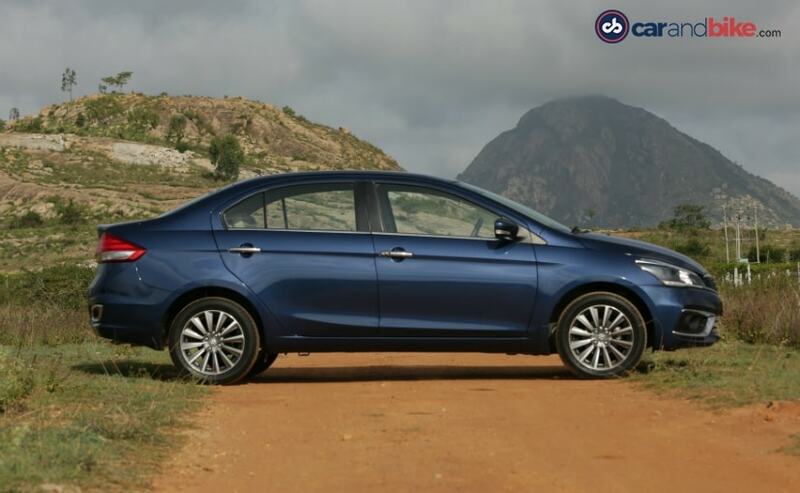 So, how is the new Ciaz different from the old model and is it better? We spend some time with the 2018 Ciaz facelift and here's our review. The Maruti Suzuki Ciaz was always a handsome looking car and now with the facelift, it has a completely different personality. The front end on the sedan is completely new! The old grille with horizontal chrome slats have been replaced by a new and sexier grille with a 'multi-pixel' design with chrome borders. Adding to the freshness are the re-designed headlamp cluster with LED projector lamps, new DRLs and the new bumper with LED fog lamps housed in chrome surrounds. The facelift sure works for the new Ciaz and all these new features make the car look much more upmarket and elegant. 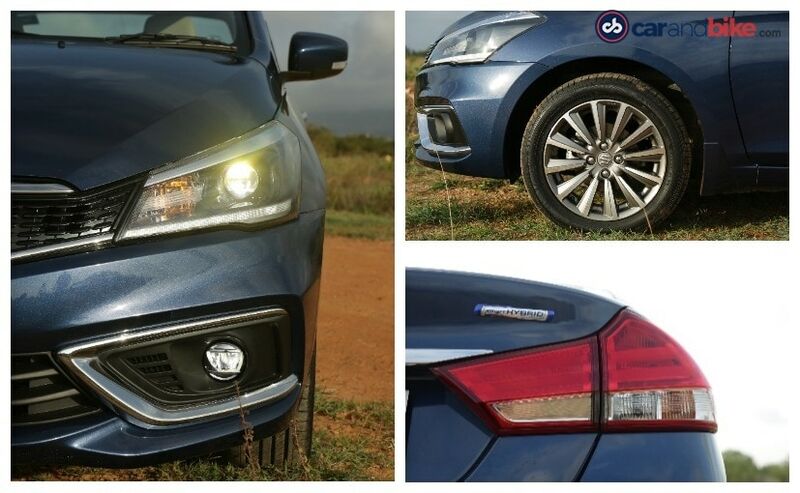 At the rear, the new Ciaz gets LED combination lamps along with a slightly tweaked bumper! The chrome garnish on the bottom adds to the premium look of the sedan.... Overall the silhouette of the car remains the same and viewed in profile, the Maruti Suzuki Ciaz gets new 16-inch alloys with a lovely pebble grey finish. The new alloys though, will be offered only on the Zeta and Alpha variants along with the LED projector lamps and the daytime running lights. Step inside the cabin and you will see that not much has changed. There is a new 4.2-inch TFT instrumentation console which now offers eco illumination. 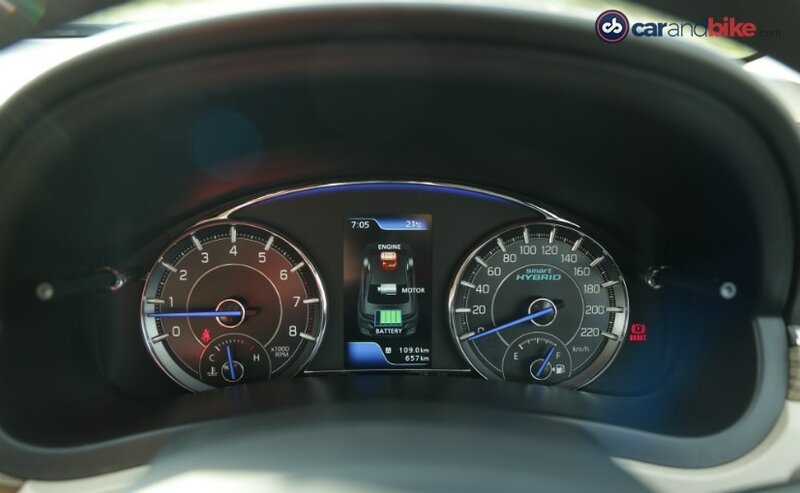 This means that the display changes colour as per driving patterns. Other updates include new faux wood inserts and satin chrome inserts that up the premium quotient inside the new 2018 Ciaz facelifts. Along with a fresh design, Maruti Suzuki also introduced a new petrol engine which is a 1.5-litre unit with Suzuki's smart hybrid technology. 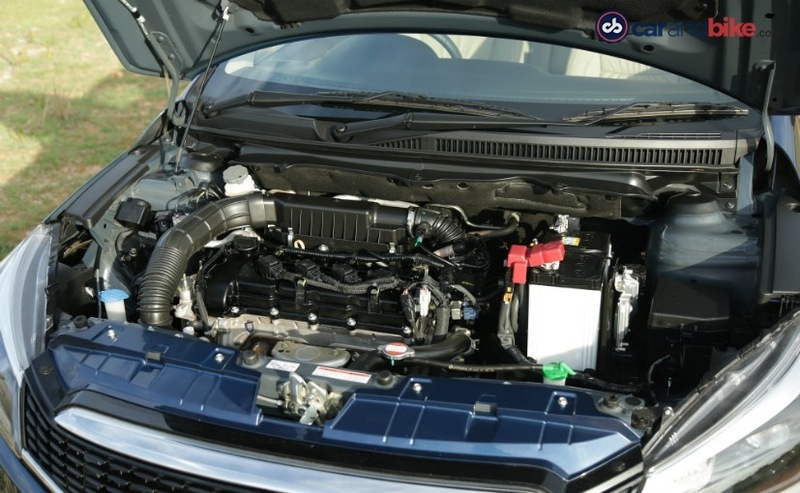 This is the first time that Maruti has introduced its SHVS system on a petrol engine. The new engine displaces 1,462 cc and pumps out 103.25 bhp at 6,000 rpm and churns out peak torque of 138 Nm at 4,400 rpm. There is the 5-speed manual and the old 4-speed automatic gearbox on offer as well. 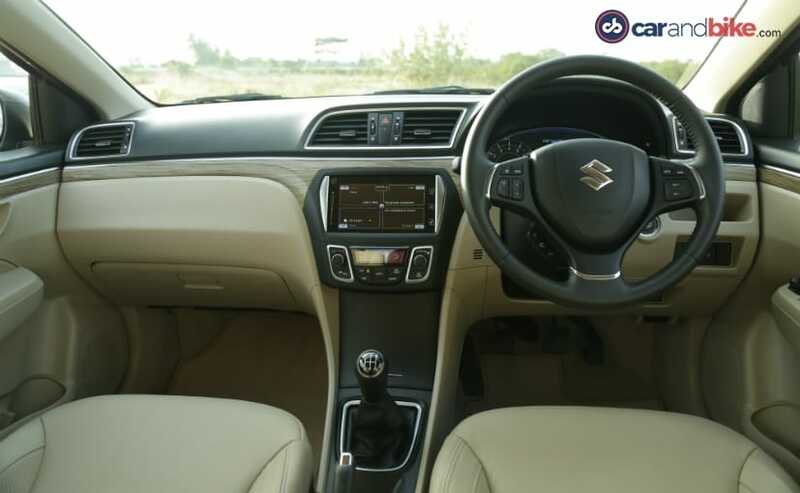 We would have loved to see a new automatic gearbox but Maruti decided to stick with the old one on the 2018 Maruti Suzuki Ciaz facelift. The new 2018 Ciaz with the new petrol engine has claimed fuel efficiency of 21.56 kmpl for the manual variant and 20.28 kmpl on the automatic variant. 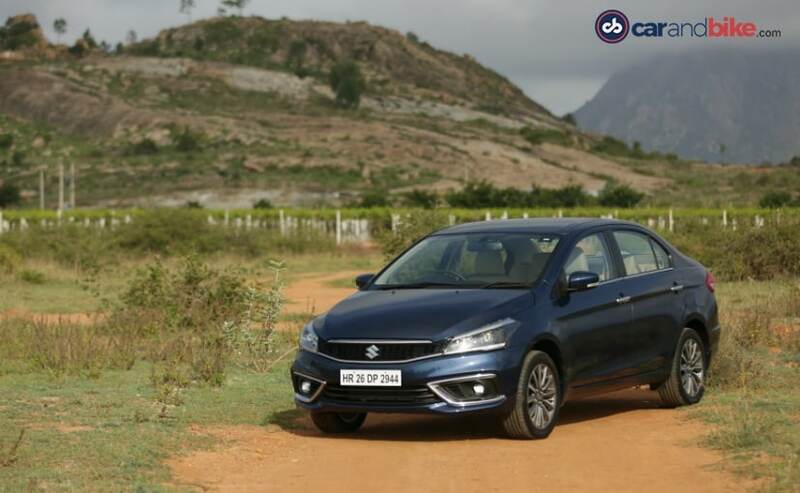 We drove only the Ciaz facelift petrol as the diesel engine remains the same as before. Maruti says that the new petrol engine on the 2018 Ciaz offers 13 per cent more power and 6 per cent more torque than the previous 1.4-litre unit. 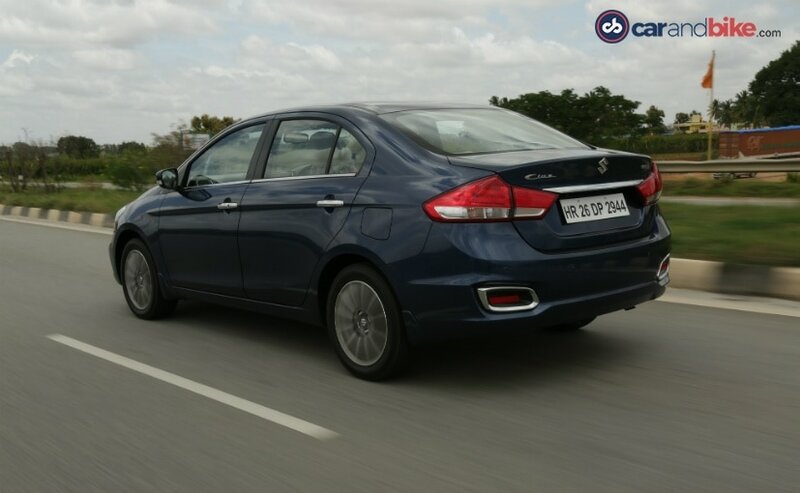 The 2018 Maruti Suzuki Ciaz handles city drives very well. There is a decent spread of the torque in low and mid revs and the 5-speed manual gearbox actually is a joy to operate. The shifts are smooth and the clutch too is nice and light. We drove the 4-speed automatic variant briefly and apart from the convenience it offers on traffic laden roads, there is not much on offer. The automatic gearbox works like a charm on city roads but it is not the most efficient in terms of response when you want to quickly overtake a vehicle lumbering ahead of you. On the highway, the car takes time to build up speed. 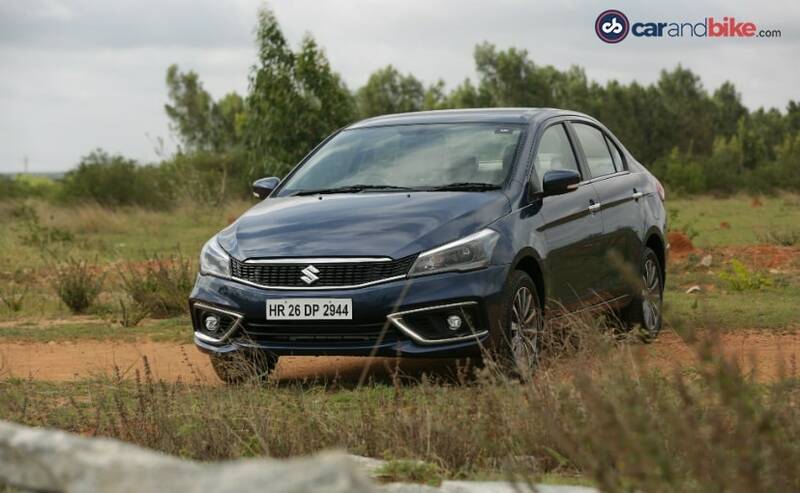 The Maruti Suzuki Ciaz was never the one for spirited driving, but a little more urgency from the engine would have been welcome. Although, it can happily cruise at triple digits speeds all day and then some more. The engine feels quite refined and there is hardly any noise seeping into the cabin at city speeds. The car retains its comfortable ride quality and good handling abilities. Maruti Suzuki has done a fine job on the 2018 Ciaz facelift. 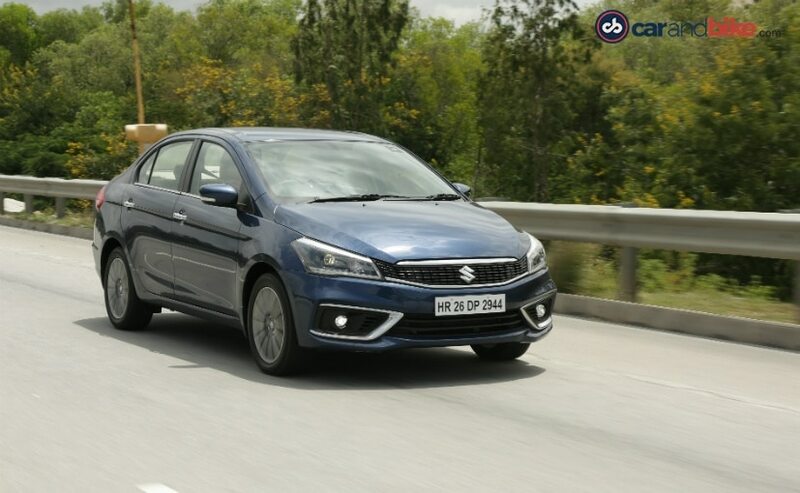 The car looks and feels much more premium now, the new mild hybrid petrol engine and the overall package does make for a compelling look at the new Maruti Suzuki Ciaz. The prices for new 2018 Maruti Suzuki Ciaz petrol start at ₹ 8.19 lakh for the base petrol variant and go till ₹ 10.97 lakh for the top-spec petrol automatic variant. The diesel variants begin at ₹ 9.19 lakh and go up to ₹ 10.97 lakh again for the top-spec model. 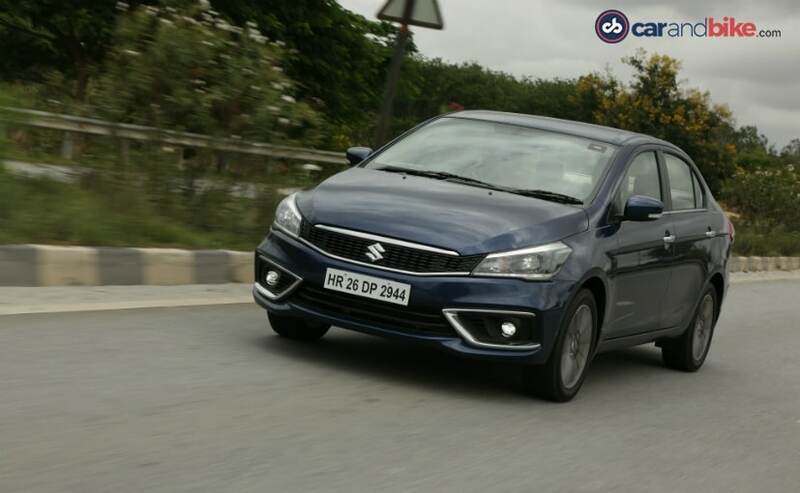 While the Maruti Suzuki Ciaz facelift petrol models are priced at a premium, the diesel models are actually priced lower than the outgoing model. The 2018 Ciaz was a best-seller in its segment which has rivals such as the Hyundai Verna, Toyota Yaris and the Honda City, and with the facelift now on sale, it should retain its momentum going forward.